Every year, the New York Road Runners has their traditional football toss and four mile run through Central Park on Superbowl Sunday. 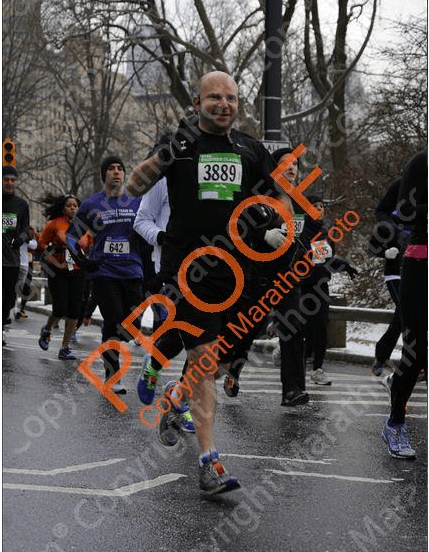 For the first time, I chose to run the Gridiron Classic 4M on the morning of the big game to do my first NYRR race of the year. It was a cold, dreary, snowy day that early Sunday morning, but we all arrived in anticipation of our four mile run. The 25 degree weather felt warmer as the race started and we moved up the east side of the park, starting around 68th st. We headed up past the reservoir to 104th st before heading west and back down the west side of the park to finish on the opposite side of where we started. 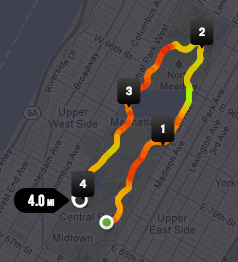 The nice thing about this course is that although there was some hills, we avoided most of the larger hills in Central Park. When all was said and done, my final time was 32:47. I generally don’t know my best times for shorter races, but with an average of 8:12 per mile, it was my best recorded time for a single mile in a race longer than a mile. So no matter how cold it was, I was still able to PR on that cold February day.